The Xiaomi Mi Mix 3 will be unveiled a week from now, but we’ve seen the phone many times already. Here’s another look at it, complete with a new trick. The third generation Mix will keep the trademark bezel-less design and continue to avoid notches by moving the camera to a manual slider. The phone will support face unlock and, as you can see in this video, it’s pretty quick. If you’re curious how the phone unlocked the laptop, it’s the Dynamic Lock feature in Windows 10. The phone connects over Bluetooth and automatically locks the laptop when the connection drops out. It can then unlock the laptop via face unlock, a fingerprint reader, iris scanner or whatever else the phone offers. 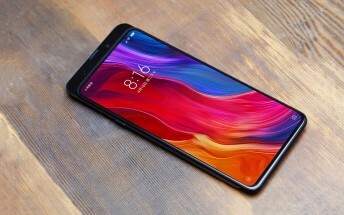 Anyway, the Xiaomi Mi Mix 3 will be among the first 5G phones - Xiaomi officially confirmed that and the 10GB RAM capacity today. It's shaping up to be a proper powerhouse.